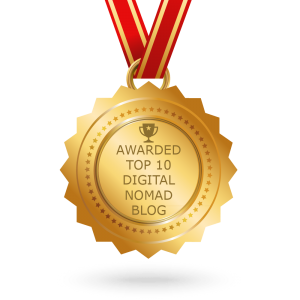 DigitalNomad.Blog has been named one of the top digital nomad blogs online in 2018. We’re proud to be awarded as one of Feedspot’s Top Ten Digital Nomad Blogs! This honor is based on quality and consistency of content, search engine visibility, and influence within the global digital nomad community. An editorial review and panel further reviewed DigitalNomad.blog as one of the top destinations for digital nomads online. Recent articles on a digital nomads guide to Auroville India, a look at working from Arambol Goa, a short stop through Johor Bahru Malaysia, and three weeks working from Kampot Cambodia, helped gain this excellent acclaim. Developed in San Francisco and Mumbai, Feedspot helps keep track of favourite blogs, news sites, youtube channels and rss feeds. They make checking favorite sites as easy as checking emails, through the power of RSS. Additionally, there is a premium Feedspot Gold, custom tailoring feeds to the precise specifications of its devoted readers. Evolving as one of the top digital nomad blogs online, DigitalNomad.blog combines insights and features of nomadic hotspots around the world. The blog shares tips on starting and excelling at the digital nomad life. DigitalNomad.blog was born in October 2017, launching during a three month stay in South Korea. With city reviews every few weeks, we are gearing up for the upcoming book tour of Plan Sea: A guide to the work-travel life. Stay tuned for more articles and resources from around the digital nomad world! Want more information? 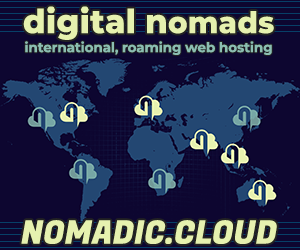 Contact us on editor@digitalnomad.blog.